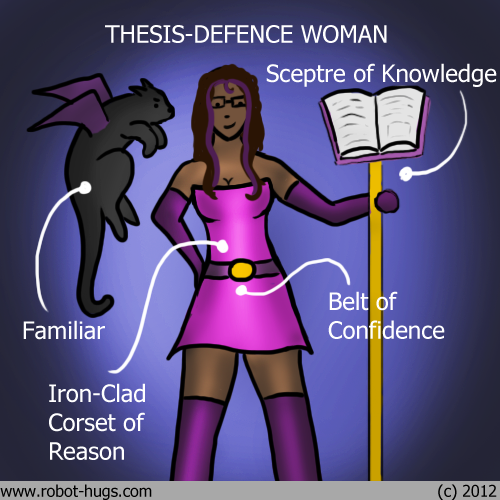 My friend is defending her thesis tomorrow and I’ve decided that makes her a superhero. I read this as Theist Defence Girl at first. Really the comic still works remarkably well with that interpretation!